How to order an apostille for a death certificate? Simply purchase your apostille online and post the original document to us. This is normally the quickest way to obtain the apostille. 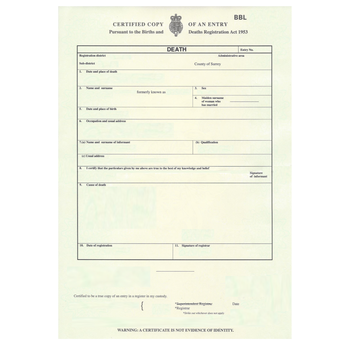 If you would prefer to keep the original document in your possession or if this has been misplaced please contact us for more information on how we can obtain an official replacement.